What Really Happens In Bali? Well if you believe TV and mainstream media it is nothing but drinking and crazy risk taking. Well here is our version – we have decided on a quick 2 week escape from Australia to head over to Bali and Kuala Lumpur. Welcome to our 2014 wrap-up of our trip to Bali. It had been at least 8 months since we last escaped Australia so it must have been Bali Time. The Plan: Bali and Kuala Lumpur – 15 days! The flight from Gold Coast to Kuala Lumpur departs at 9am so to give us plenty of time in the morning we decided to head down to the Gold Coast the day earlier. Last year we stayed at La Costa Motel, Bilinga – it wasn’t a particularly brilliant experience – that said we decided to brave it again and I am safe to say it was a much better experience. 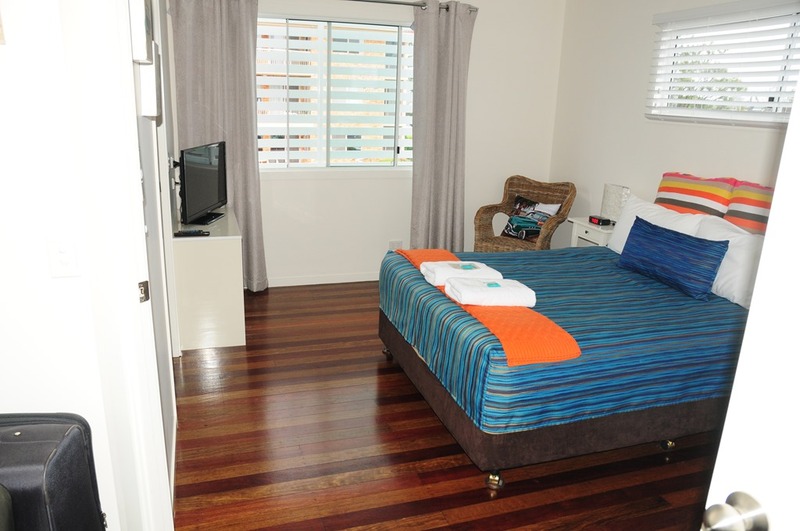 We booked the Upstairs Apartment and were really impressed by the quality of the room. La Costa is actually a really handy place to stay if you are flying out the next day – they will actually drop you to the airport (depending on your departure time). Also if you are looking for a great dinner, take a walk/drive to Burger Lounge, just round the corner in Kirra. Real handmade burgers and amazing sides. This was going to be a long painful day of travelling. The only negative with flying Air Asia is that all flights from Gold Coast transit through Kuala Lumpur, meaning we would have the 8 hours flight time to Kuala Lumpur then effectively a 2.5 hour flight back the way we came to Bali. Not a terrible thing but just eats a bit of time. Check-in at Gold Coast was a breeze – in fact the fastest check-in / security experience ever at the airport. Not much of a food option at the Gold Coast Airport so just a coffee while we waited for our flight. Overall the flight was great, no major turbulence. The meals on Air Asia are really pretty good – I don’t know if maybe its cause you pay for them, but they are pretty tasty. Anyway we knew we would be landing at the new KLIA2 airport terminal in Kuala Lumpur. Previously Air Asia departed from the LCC Terminal in KL, which is often described as a glorified shed! This new airport is huge and absolutely not a tin can! 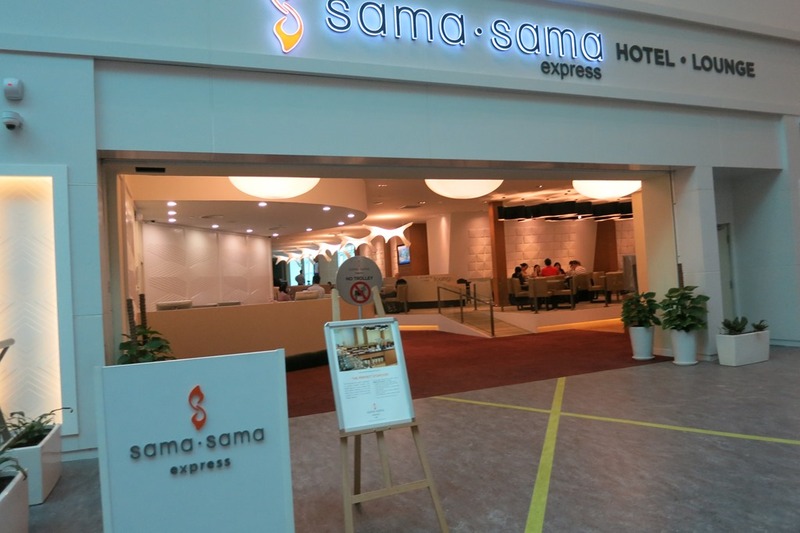 Being a new airport we decided to play it safe and give ourselves plenty of time to transit to the next flight – particularly knowing that baggage and immigration can take some time in KL. Flight landed at about 3:15pm and it took a good hour and a half to get out through immigration and customs. The main delay was Baggage claim and customs. 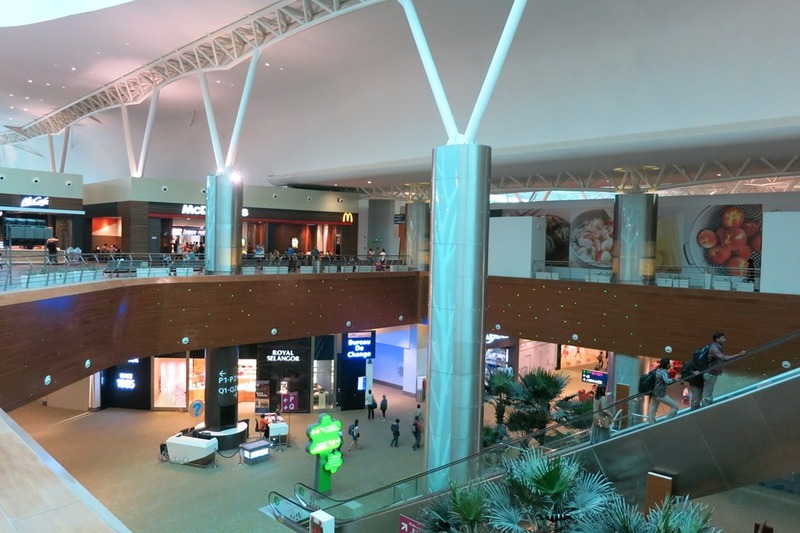 KLIA2 Airport – If you get the chance allow yourself plenty of time to explore this place, there is basically a shopping centre attached to the front of the airport – Gateway@KLIA2. If you are trying to make a flight connection here be aware that it will take you about 30 mins to walk from the plane to immigration, baggage claim took us about 30 mins and then customs about 15mins. So better to give yourself a longer connection if you are worried. 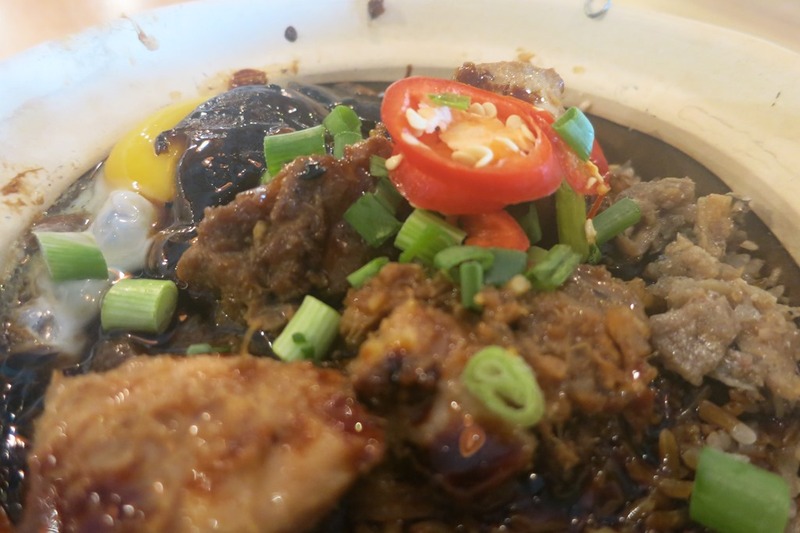 If you are looking for a good meal head up to Level 2M and walk around to the Quizinn food court, it is a huge food court with a wide range of meals, with an average price of about 9RM ($3AUD) for most meals. We stopped and had an early dinner. Depending on your transit time you may actually want to have a shower and a rest, there are a couple of options – in the Gateway shopping centre on Level 2M there is a Plaza Premium Lounge which you can pay for a bed/shower/rest area. Alternatively down on Level 1 is a really cool little place called the Capsule by Container Hotel KLIA2. 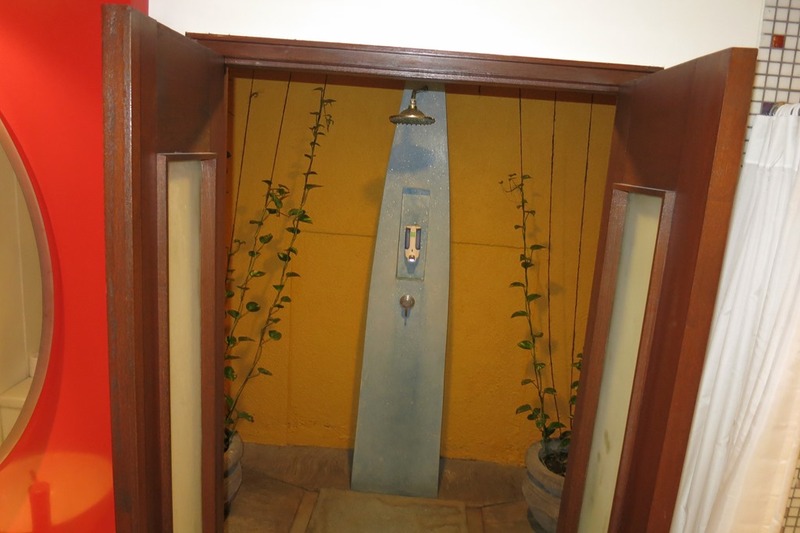 It is a Capsule Hotel (literally a hole in a wall) but for about 15RM ($5AUD) you can get a shower (they provide amenities). Once you have checked into your flight you will head out along the skybridge to the satellite departure gates. There are not actually a large number of duty free stores (yet), many stores are still under construction so you may find some new ones. However, there are a few places and a couple of cafes. This is the Satellite Terminal Building. Shopping and lounge areas. 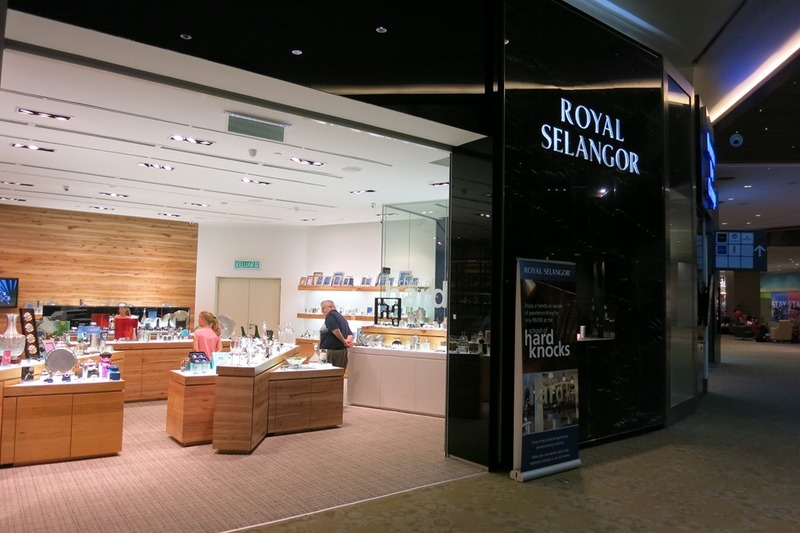 Royal Selangor – just incase you have forgotten any of those last minute souvenirs! After a bit of a wait we boarded our flight to Bali. Reasonably quiet flight – perhaps cause I think I was asleep for most of it. Landed in Bali and then faced that wonderful experience of Bali Airport Visa and Immigration – I had figured being a midnight arrival it wouldn’t be too bad. And to be honest it wasn’t – probably about a 30minute wait to get through immigration. Jumped in an Airport taxi and headed to our first hotel. All Seasons Legian – is to be our home for the next few nights, we always book this place as it is pretty handy location within Legian. Amazing how quick the run from the airport is at 12:00am in the morning, I think we were at the hotel in about 10mins. The deluxe rooms on the ground floor are really quite comfortable, they feature a lovely little outdoor shower as well as a small porch/balcony to sit on and watch the pool. Staff were friendly and attentive, considering the time I give them credit for that. 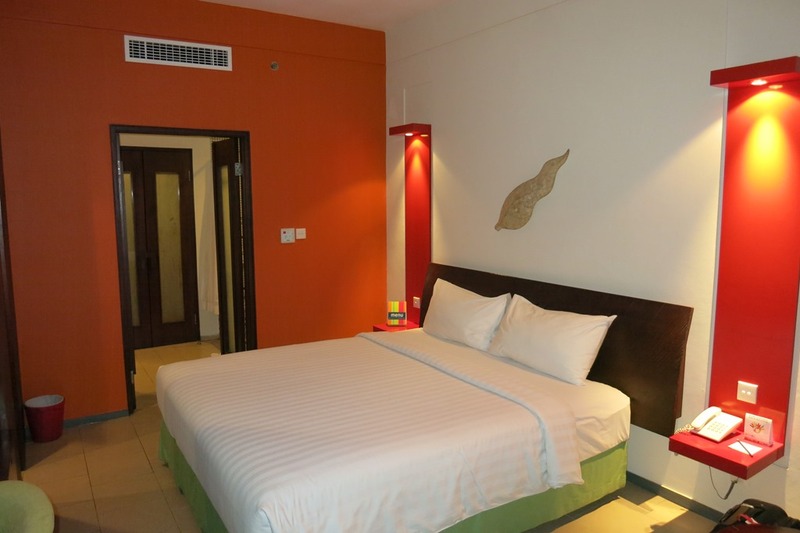 Deluxe Room with a reasonably large double bed. The rooms are not HUGE but there is ample space for luggage. There is also a day bed with another couple of chairs. So you should be comfortable here for at least around 5 nights. We quickly showered and then headed to bed – we had been up since 5am the previous morning, so after about 18 hours we were both absolutely stuffed…but it doesn’t matter because we are in Bali – and there is nothing better than being back in Bali. Bed time now – got to get ready to hit the town tomorrow. That’s it for tonight see you tomorrow. Liked anything you heard from today’s blog? Here is a list of the places and weblinks (where I could find them). Thanks for checking out JustMyTravelBlog – I am not a fulltime professional blogger (as you no doubt see from the writing) – please feel free to leave a comment below and let me know what you thought of the blog. I hope it is of assistance for you in planning your next holiday.